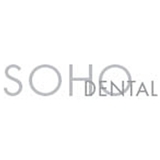 SOHO Dental (New York) - Book Appointment Online! Our philosophy is to provide high quality, comfortable, aesthetic dentistry while improving the overall health of each individual. Unlike most dental offices, Soho Dental offers a variety of solutions so patients can meet both their cosmetic and general dentistry needs. Dr. Perez will assist you in achieving and maintaining the highest level of dental health with key focus on your overall well being. Our friendly staff and tranquil office will put you at ease - a welcoming experience in this bustling city. Every smile is unique and an expression of your individuality. It's the first thing people notice when they meet you and will leave a lasting impression. Get your smile on!